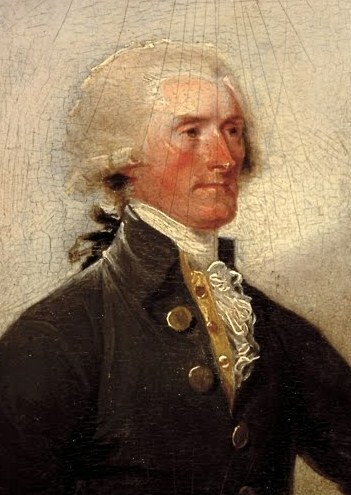 Thomas Jefferson began the tradition of receiving citizens at the White House, which was called The President's House before 1812, to celebrate the Fourth of July in 1801. The mansion was opened to all people. Tables pushed against the walls of the State Dining Room were filled with bowls of punch and plates of sweets. Presidents held these receptions until just after the Civil War. President Thomas Jefferson held an open house for his 2nd inaugural in 1805, & many of the people at his swearing-in ceremony at the Capitol followed him home, where he greeted them in the Blue Room. Those open houses sometimes became rowdy: in 1829, President Andrew Jackson had to leave for a hotel, when roughly 20,000 citizens celebrated his inauguration inside the White House. His aides ultimately had to lure the mob outside with washtubs filled with a potent cocktail of orange juice & whiskey. Even so, the practice continued until 1885, when newly elected Grover Cleveland arranged for a presidential review of the troops from a grandstand in front of the White House instead of the traditional open house. Jefferson also permitted public tours of the President's House, which have continued ever since, except during wartime, & began the tradition of annual receptions on New Year's Day & on the Fourth of July. Those receptions ended in the early 1930s, although President Bill Clinton would briefly revive the New Year's Day open house in his 1st term.